When I used Webster and Darby they were honest and helpful from the start. Their professionalism was key for me from start to when we completed. Would recommend to anyone! 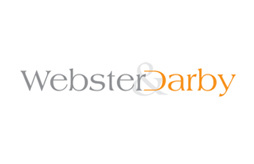 Webster & Darby have been very helpful and thoroughly professional in assisting me to rent my property. I am very much an amateur Landlord and they guided me through all the issues with regard to lettings and gave me the peace of mind to know that I had done the job properly. Nothing was too much trouble and as a result I am very happy to recommend them. Many thanks to the whole team of Webster and Darby. They helped us find the house we wanted. The team is very efficient, courteous and they are trying to find their client exactly what they want. I recommend you very highly to all our friends. Thank you for your help. I was very impressed with the way that we were dealt with. I found the entire process very simple and efficient. We were always kept up to date and knew what was happening. I would highly recommend Webster & Darby. I have just had a lovely couple move into my property that Webster & Darby sourced. I put my property on the market with Webster & Darby and within 24hours they had an offer for me from the ideal type of tenants. I am very glad I gave them the chance as a new agency as they more than fulfilled my needs. Really impressed with the service from Webster and Darby. They were really professional, friendly and flexible in terms of viewing times. We found a perfect flat for exactly our budget and the whole process from viewing to moving in went really smoothly with no hassles at all. I have never used an agent before but I didn't realise how easy an agency could make it for me. Webster & Darby took all the stress out of the changeover of tenants and I knew what was going on at all times! I have never used an agent before but I didn't realise how easy an agency could make it for me. Webster & Darby took all the stress out of the changeover of tenants and I knew what was going on at all times! What a breath of fresh air dealing with Webster & Darby. The service was professional, incredibly efficient and they went out of their way to accommodate my timing and requests. I was kept up to date on the progress and they delivered on every item they promised. I would highly recommend them as they make finding your new home a pleasure, like it should be.